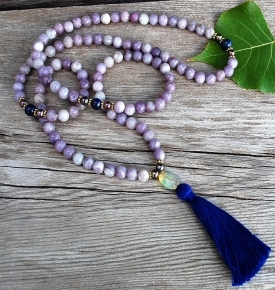 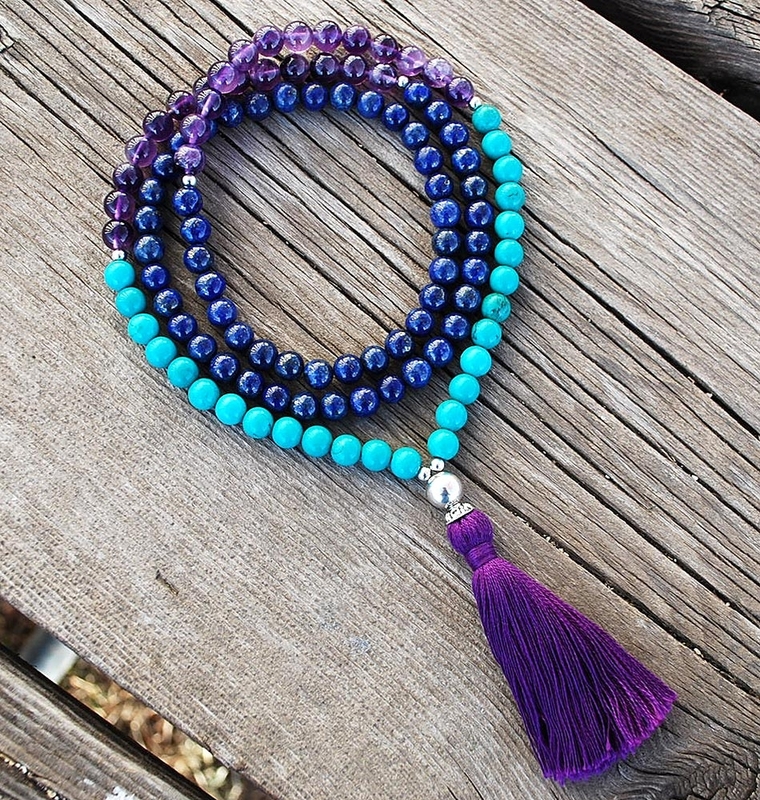 I Am Authentic Mala, 8mm genuine Amethyst, Lapis and Turquoise Magnesite with silver and a natural cotton tassel. 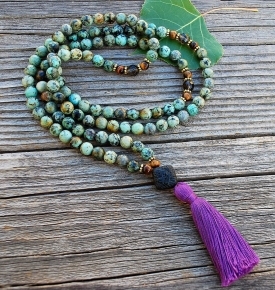 These are tribal, earthy colors with a touch of sky, for reconnecting to body and spirit. 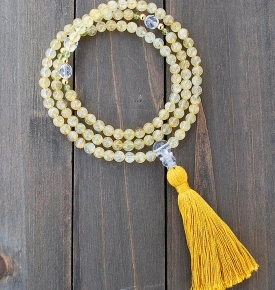 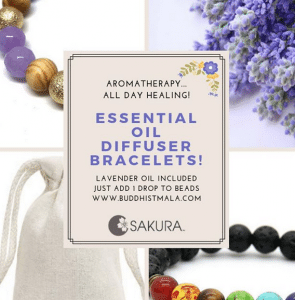 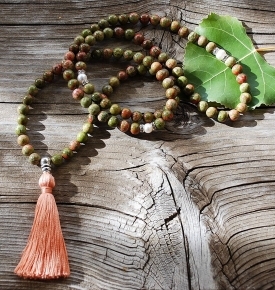 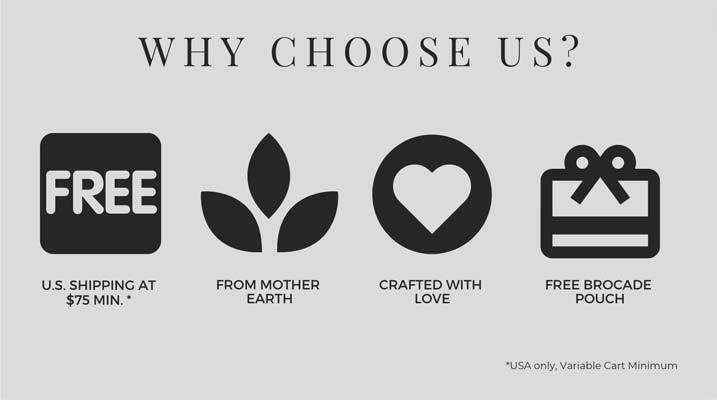 Inspire~ Enlighten~ Empower~Stay grounded and clear all day, by remembering your meditation practice, inspired by this mala.